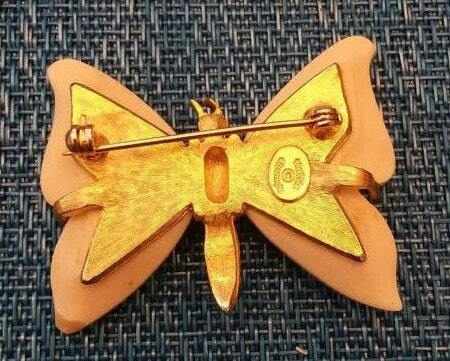 Just an amazing vintage brooch by Hattie Carnegie. Dimensions: 1.75 inches x 2 inches. Torquoise-like stone details on Lucite (Bakelite?) 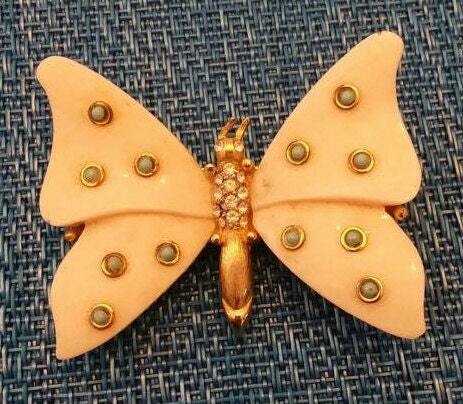 wings around a gold tone metal body with rhinestones. Teeny tiny nic in the top right wing. Hard to see but want to be transparent. Solid catch. This is a stunning and rare piece!